Landfall Cottage heritage accommodation - Richmond, Tasmania. Cottage is not suitable for children under the age of 5 years old. 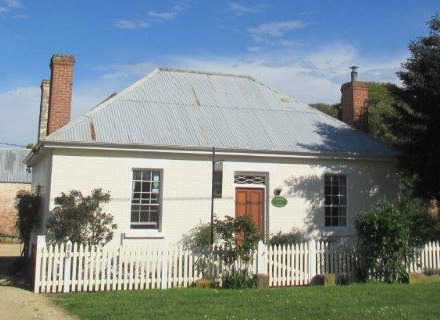 Landfall Cottage heritage accommodation (circa 1846) is a Heritage Listed property located in a quiet street on the edge of the Historic Richmond Village 20 minutes from Hobart in Tasmania. Now restored it retains much of its originality complete with the modern conveniences of today. The self contained cottage is set in a tranquil cottage garden ensuring guests privacy. A four minute stroll takes you to the centre of Richmond village packed with magnificent Georgian Buildings housing a variety of shops, galleries, restaurants and a bakery.